Literally – paint colour from the children’s art studio in the building where I work. 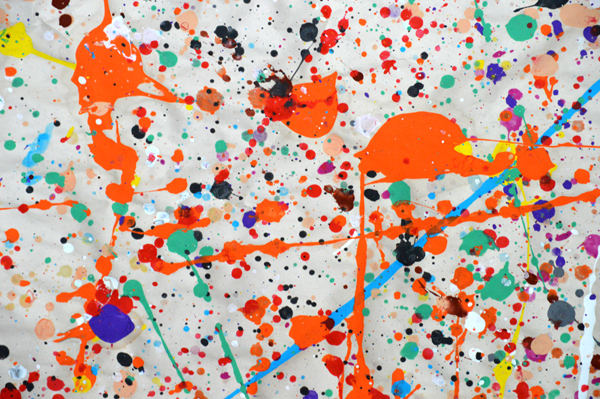 This is a detail of a much larger Pollock-style paint-strewn work by the kids- the bright orange bits attracted me. After all this black and white, here’s a bit of colour! that sounds like great fun!! great work you did – art can make such a difference – I’m on a board for an organization that helps people with disabilities get training and find work. Yeah, aj and fun to throw paint around.